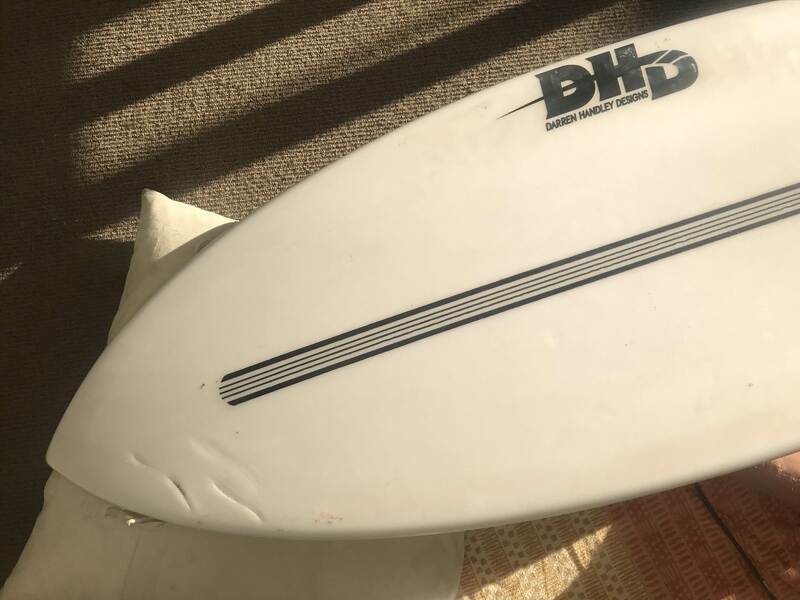 Minor damage to my new favourite - hoping to get it water tight before some Easter crowd fins decorate it in Bali next weekend. 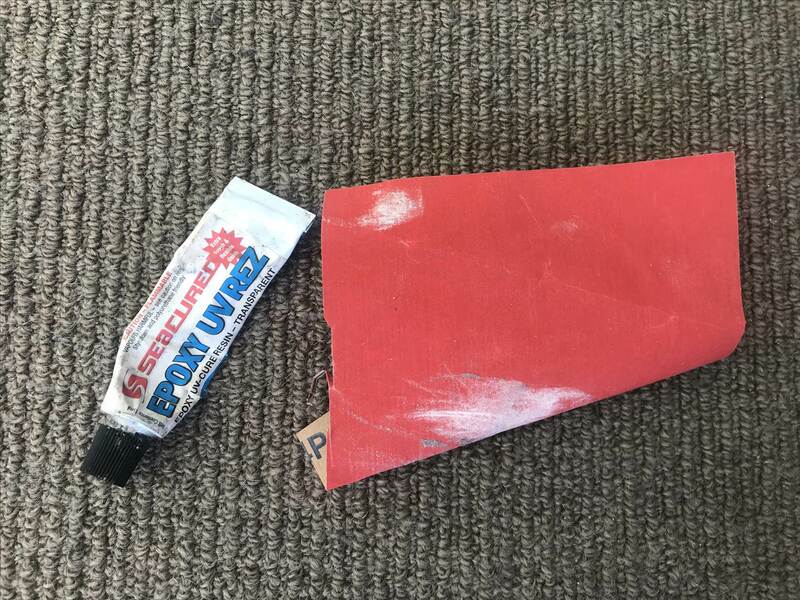 Qu) a quick sandpaper + sunCure Epoxy resin suffice / Or should I take it in to a repairer / or maybe another repair kit? Sun cure resins are a temp fix and with the damage you have had to that one might be worth doing it properly . I would fix it myself but I've got a bunch of repair stuff ready to go. If you have to ask the question that says to me best to take it to a recommended repairer and hope they've got time to fit it in. After you get back from holidays maybe build up your supplies so next time you can also just do it in a day or an hour (depending on your catalyst choice). The repairer I usually go to who has a good turn around is away. There was a time I would do the repairs myself -apartment living has made me lazy. I think it's time to revisit - build up the board repair arsenal. 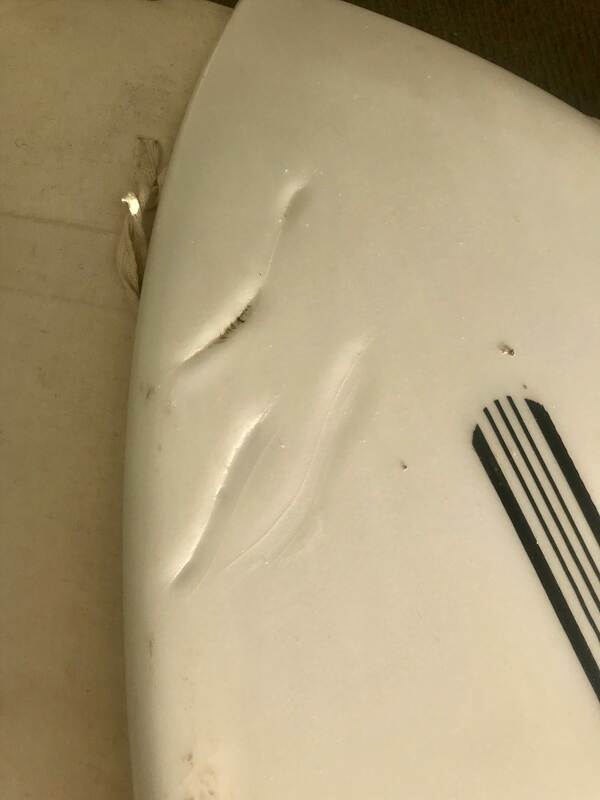 The time it takes to get your board back for me is too greater opportunity cost should a swell like the near future arrive. 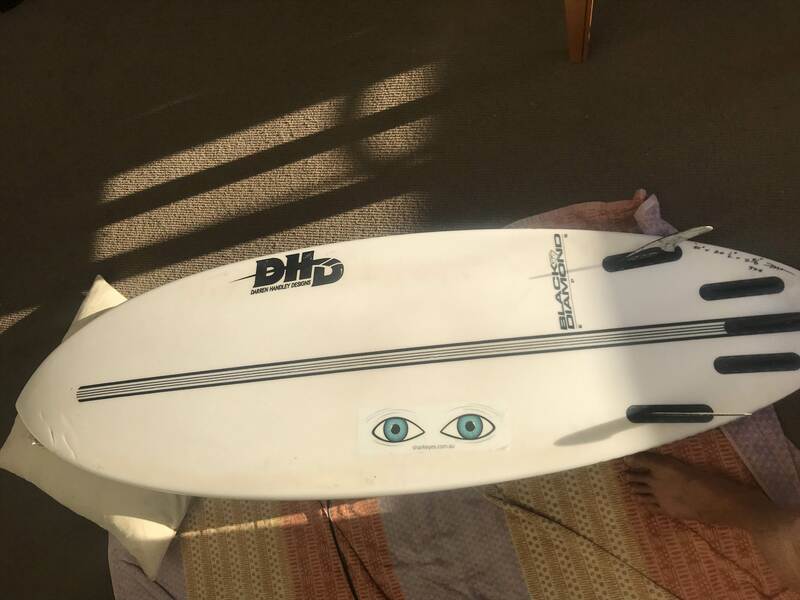 I'd be fixing that one myself, if she's your favourite board treat her right. Better for re-sale as well if you have a proper fix done using a couple of layers of glass. Solarez should only be used for repairs while you are away IMO. Hit up mates to see if they have any gear you can use so you don't have to and buy a lot of gear for one round of fixes - use the currency of beers! I have located remnants of my repair gear and ordered some more. But before I butcher this board I will test run on an older one first. I do remember finding some satisfaction in doing a 'good' repair myself.